I didn't realize there really was such a thing as pig blood noodles, but I suspected there must be. Of course it's Italy, Sudtirol. Blutnudeln or Tagliatelli al Sangue. I hope you will forgive me for going completely Asian here though. It is wheat flour to hold the blood together and then in dashi stock. I then garnished it with various soba-friendly condiments like fish cake and seaweed, just to be confusing - but there not pictured here. It's good. The blood isn't as pronounced as I thought it would be. It's awfully nice though and I bet if served in a Japanese bowl no one would bat an eyelash. Ooh, it looks much nicer extruded. This is in a smokey broth with some dehydrated kimchi on top - which I LOVE! really, it's good? what does it taste like?? Like a noodle with a slightly meaty iron flavor. Not strong at all. Wouldn't even think of black pudding. That is such an interesting mix of Italian and Asian cuisine! 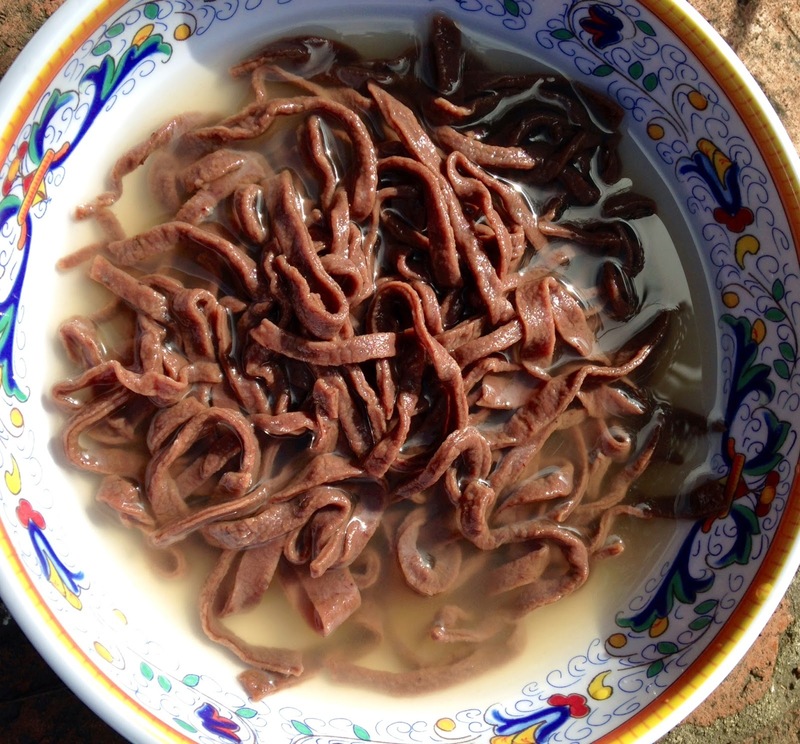 An exotic but traditional Italian delicacy, the “Blutnudeln”, is added into a bowl of soup, similar to the Japanese ramen. 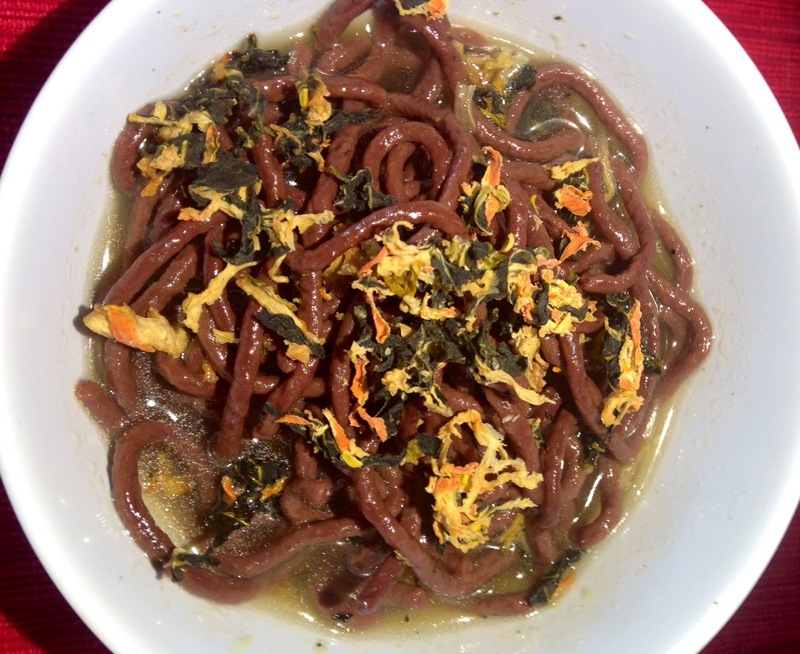 At first sight, no one would even know that the noodles are made of pig’s blood! It’s very fascinating to see that you can mix diverse and unique cuisines from two or more different cultures.